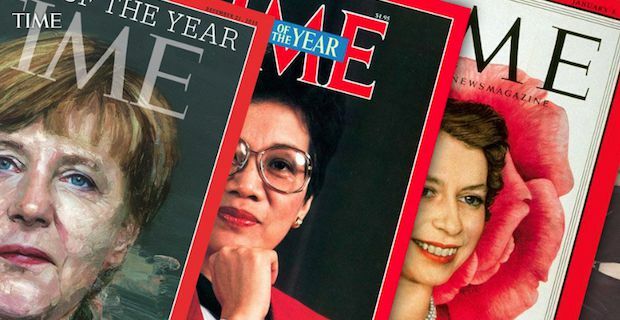 While initially called “Man of the Year” until 1999, Time Person of the Year for 2015 has been announced. It is none other than German Chancellor Angela Merkel who has “...done the most to influence the events of the year” which includes the Greek bailout, the fight against ISIS and the refugee crisis. Here is a look at 10 interesting facts about her. 1. She was married to Ulrich Merkel in 1977, was divorced in 1982 but kept his surname. She then married Joachim Sauer in 1998. 2. When she was a few months old, her father who was a Lutheran pastor moved the family to East Germany where she grew up. 3. She is a quarter Polish. Her paternal grandfather was a German National but of Polish origin, Ludwig Kasner. 4. She has a fear of canines which Putin took advantage of during one of their meetings when he brought in a black lab. 5. She has a doctorate in Physics from the Central Institute for Physical Chemistry of the Berlin Academy of Sciences. She wrote her dissertation on quantum chemistry. 6. Her supporters call her ‘Mutti’ which translates to ‘Mother’ in German. 7. She loves cooking and baking when she has time. Her specialty is the Plum Cake. 9. Languages are one of her many strengths. She is fluent in English, Russian and French. 10. She loves watching football. In 2010 she had a photo taken with the German National team post match in their changing room which has become a ritual.